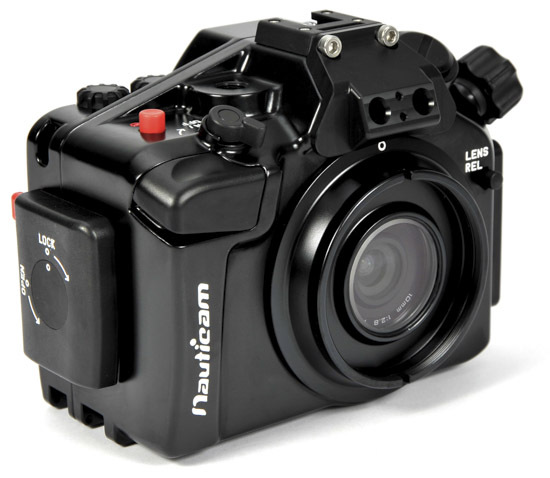 Nauticam announced NA-V2 underwater housing for the Nikon 1 V2 mirrorless camera. 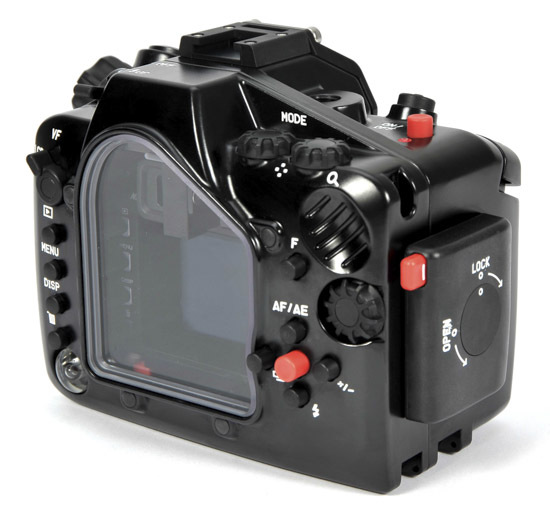 Nikon currently only offers the WP-N1 underwater housing for the Nikon 1 J1 and J2 cameras (another head scratcher: no Nikon underwater housing for J3, V1 and V2). The compactness of the camera body and lenses translates into a very small and light weight housing. This is a perfect system for someone with small hands, and one that can be easily packed in a small backpack for travel. 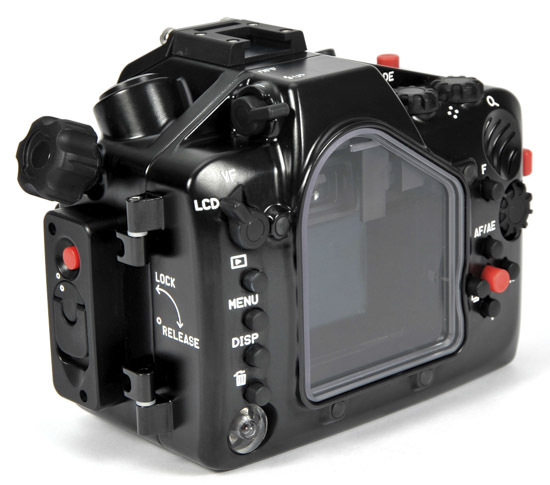 The V2 camera has independent command dials for accessing f-stop and shutter speed, and these controls are placed at the photographers fingertips in the housing. 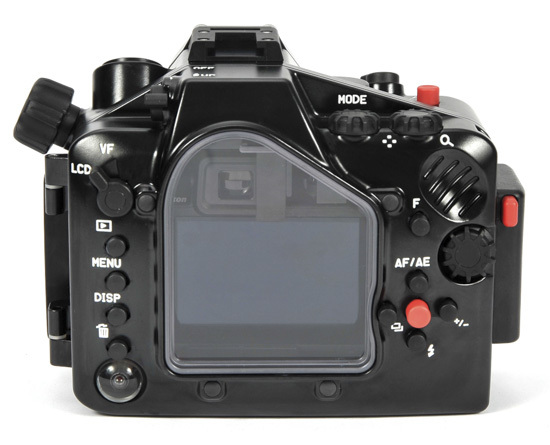 The housing features a patent pending LCD/EVF Switch to switch between the LCD on the back of the camera to the excellent electronic viewfinder (EVF). The housing takes advantage of the new popup flash to allow strobes to be fired with fiber optic cables. No sync cables to corrode or flood, and automatic flash exposure is made easy with several popular external strobes. The sculpted NA-V2 housing fits the V2 camera perfectly - the camera is quickly mounted in the housing via a snap in camera tray, and the housing is securely closed with a locking rotary latch. NA-V2 also features an audible and visual leak detector, accessory hole for HDMI Bulkhead and monitor attachment, 10mm threaded accessory hole, and cold shoe accessory mount. The same Nauticam patented mini locking port release system used with other Nauticam mid-range housings has been incorporated, allowing easy and secure port changes. Supported lenses include the Nikkor VR 10-30mm f/2.5-5.6, the Nikkor 10mm f/2 and the new Nikkor VR 6.7-13mm f/3.5-5.6 are supported. Given the cameras deep depth of field and fast focus, macro shooting is ideal with this setup, and the 10-30mm is supported via Nauticam's Macro Port 45 (part #36135). Nauticam is now shipping a flip macro close-up lens holder (part #25101) that attaches to the 67mm threads on the Macro Port 45, and is deal for shooting macro with the V1. 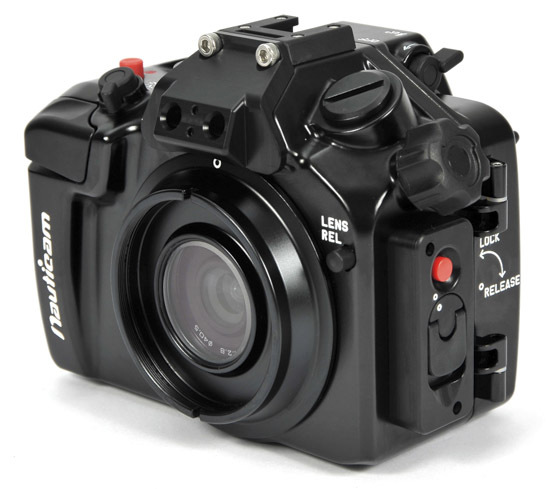 Zoom is supported on the 10-30mm with an optional zoom gear. The new 6.7-13mm offers wide angle shooters 100º coverage at the wide end when teamed with either of two port options, and a zoom gear (part #36153) allows the full zoom range underwater. A full line of optional accessories are available, including trays, handles, hand straps, mounting hardware for lighting. Automatic flash exposure (TTL) via external strobes is available using Nauticam fiber optic cables and popular strobes like the Inon S-2000 and the Sea&Sea YS-D1. Providing the excellent versatility of interchangeable lenses in the smallest mirrorless housing in the market, the NA-V2 carves out a unique niche that will appeal to many avid photographers. 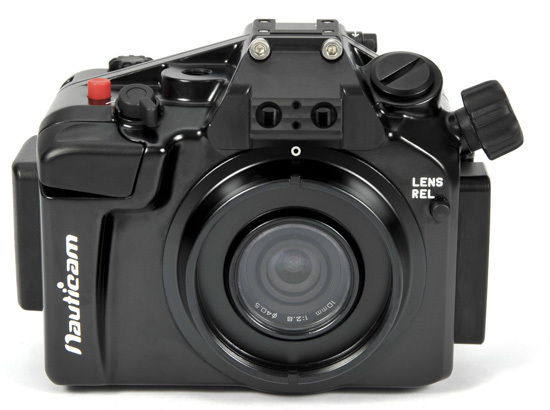 This entry was posted in Nikon 1 and tagged Nauticam, Underwater housing for Nikon. Bookmark the permalink. Trackbacks are closed, but you can post a comment.